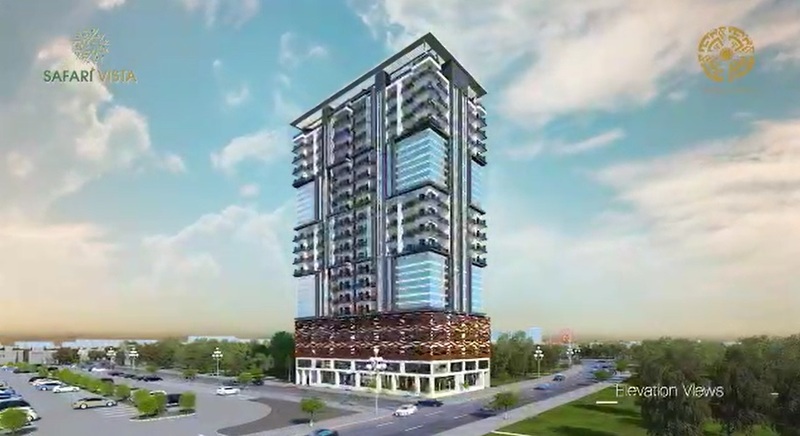 Safari Vista is a 20 storey tall modern structure which offers contemporary standards of luxury apartments right at the entrance area of Bahria Town Karachi. It is planned on corner plot no. 14 in Precinct 19, which is located right opposite to Day Night Safari Park. Safari Vista Apartments have 2 basement floors reserved for car parking, while ground and first floors are reserved for special showrooms for indoor shopping experience. Second, Third and Fourth floors are again reserved for car parking for the residents of luxury apartments, and 5th to 20th floors are reserved for luxury apartments. Rooftop will have open sitting area and a swimming pool. Apartments are available in 4 different types, i.e. One Bed, 2 Bed Type A, 2 Bed Type B and 3 Bed. One Bed Apartment has gross area of 630 Sq.ft, 2 Bed Apartments Type A and B have gross Area of 1059 Sq.ft and 1133 Sq.ft respectively, and 3 Bed Apartment has gross area of 1514 Sq.ft. Safari Vista Showsrooms and Apartments are available for booking on first come first served basis. 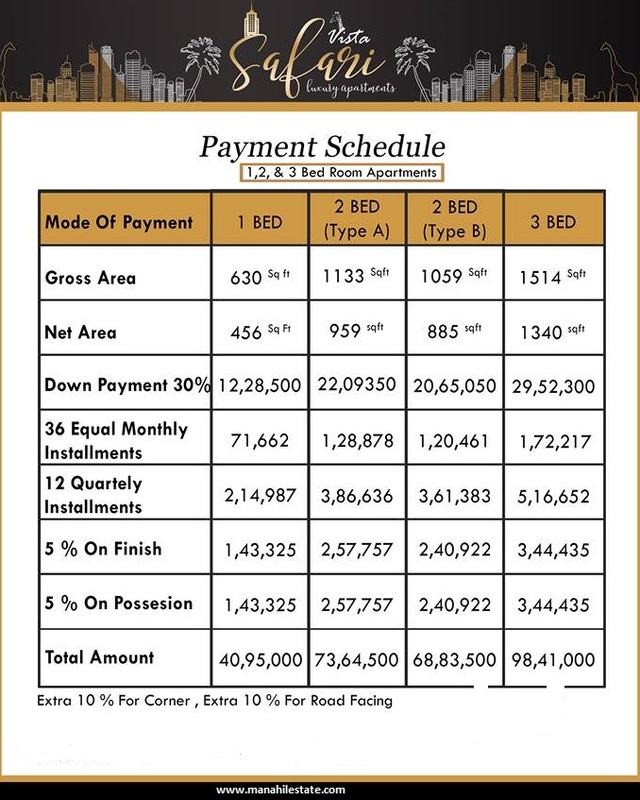 Bookings start from 30% down payment, while 60% amount is payable in 3 years through 12 quarterly installments. 5% amount is payable at the finish of work, and last 5% amount will be payable at the time of possession. Please note that corner and road facing apartments will be charged 10% extra of the given prices. Bookings of limited residential units is left, so you must act fast if you do not want to miss this exclusive opportunity. 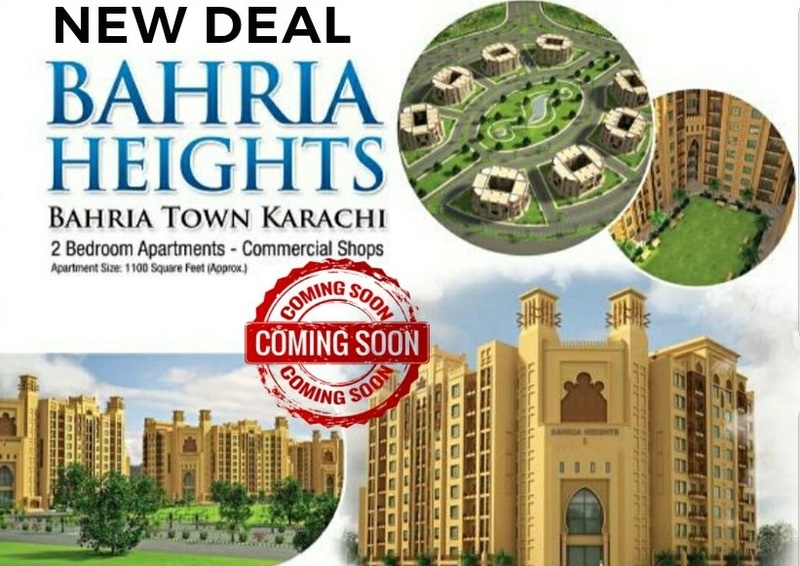 If you are interested to reserve your apartment or showroom at Safari Vista Apartments and need more details, feel free to contact us via email at marketing@manahilestate.com or whatsapp at 0334-3076813 for quick assistance.